I wanted to do this post because I know a lot of us have already started school and are getting back into the swing of things. Procrastination is something that we all hate, but end up doing anyway. 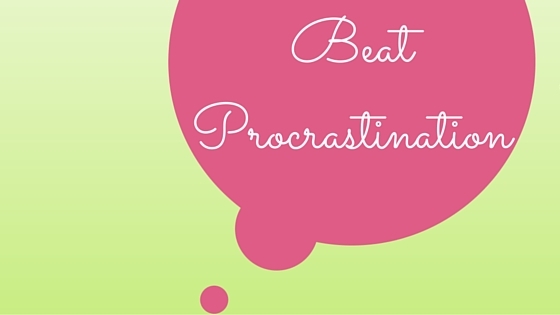 Here are my tips to help you be a little more organized, productive, and procrastination free! This is going to be a little bit different for everyone, but find a way to hold yourself accountable. For me, I like to write what I need to accomplish in my planner so I can constantly look at it and force myself to do what's on my list. If you don't think that'll work with you, try telling a friend what you need to do, so they can hold you accountable when you start to slip. In my dorm room, I'm always the first one to go to sleep and the first one to rise. I am a morning person and I know that I'm not productive after 10pm, so I don't try to push myself at night. I think that being aware of yourself and knowing when you function best is super important, and if you can spend your most awake hours doing homework, you'll be that much better! I'm one of those people that can sit at a desk with my computer and phone near me and be perfectly fine doing homework. Not everyone is like that, though, and if you're one of those people that are going to be tempted by your phone or computer, try to go to a separate area without them. Sometimes when I'm reading and taking notes, I'll just take my book and notepad into the hallway so I'm completely present. Sure I look like a weirdo, but it's definitely worth it! This isn't a tip that I personally use, but I know that it's something that a lot of people use, so it was worth mentioning. You can try scheduling times when you're going to do homework in the calendar app on your phone, so it'll alarm you when it's time for you to do stuff! Sometimes procrastination happens because you've started something, but it's boring or mentally draining and you want to do something else. This is where a timer is insanely helpful! You can set it for 25 minutes and then set another one for a 5 minute break when the first one goes off. This is a tip I use a lot when studying for exams or finals because it helps you remember things better! I hope that these tips help you beat your procrastination, and if you have any tips of your own, leave them below because I'd love to read them! I'm also planning on doing a "how to blog while in college" post, so if you have any questions you'd like me to address, leave them in a comment too!